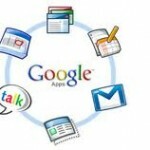 Google Apps is the best office suite for the everyday small business. Google is relentless with their improvements and integration running at a pace only a few companies are able to match. Remember the days of Microsoft products and waiting for years for an update only to be given an expensive bloated application that was harder to use and no more useful than the earlier version? Google’s model of incremental and frequent improvements gives them a big edge over time. And their time has finally come surpassing Microsoft at usefulness and long ago surpassing them in ease of use. Look at Microsoft Office annual costs (forget the first months discount just look at normal costs) and compare that with what Google Apps provides you for your entire business. Web site hosting of many websites, forums and groups, applications that span both back office and customer relations and management. A unified email and domain management across applications that is unmatched. Microsoft Office gives you well… Microsoft Office. At Xilium we are ready to help you set up and become productive with Google Apps. You can move as quickly or as measured as you like. Drop us a line and inquire.